During a summer hike in the Beaver Basin Wilderness Area of Pictured Rocks National Lakeshore, I was struck with the brilliance of the sunlight. 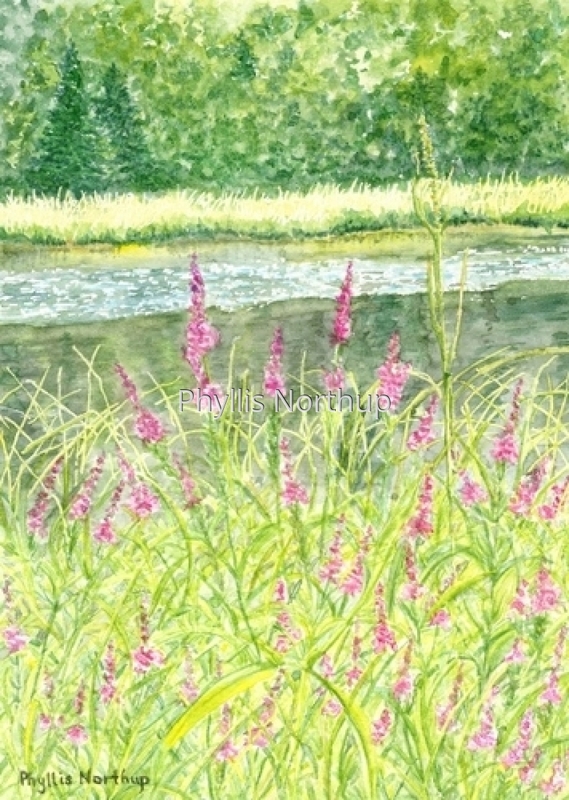 The pinkish purple blossoms of the vervain against the shimmer of the sunlight on the pond, and the meadow grasses with deep green forest behind made for a lovely composition. This giclee print from an original watercolor is one of a series of paintings depicting the seasons. Single matted and ready for a standard 8x10 frame. Collect the seasons series! Original is sold.